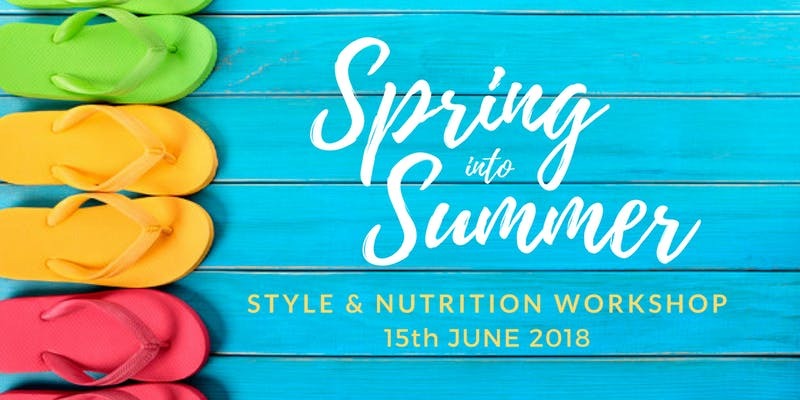 of reading books or magazines"
In this relaxed, informal and interactive workshop, professional stylist Fleur McCrone and nutrition expert Jennie Gough will give you ideas and inspiration for updating your wardrobe and enhancing your health so you can look and feel your best as we enter a new year and new season. In the first half, Fleur will take you step-by-step through the process of creating the perfect spring capsule wardrobe so you can be effortlessly stylish every day. She will cover key items, seasonal trends, link clothing and give plenty of practical take-home tips. During the coffee break Jennie will demonstrate how to make some simple, delicious snacks and of course there’ll be the opportunity for you to try them all! Jennie will then give a presentation on the #1 thing to do to have more energy, lose weight and beat cravings without relying on willpower. You’ll also receive a “capsule kitchen” weekly plan with lots of quick and easy ideas for healthy meals and snacks. Guests go home with a goodie bag full of delicious treats and exclusive discounts.